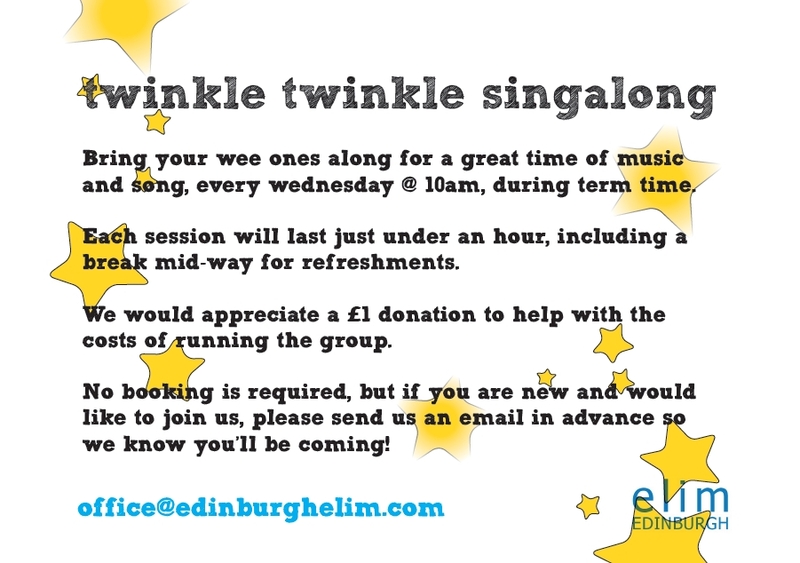 Twinkle Twinkle Sing-a-long takes place every Wednesday during term time @ 10am in the Hub, Edinburgh Elim, 18 Morningside Road, EH10 4DB. A fun-filled sing-a-long for parents / carers and little ones (0 – 5 years). Twinkle Twinkle is back on 10th January, Wednesday at 10am! Drop us an email if you are planning on coming along.